A documentary film of the groundbreaking exhibition David Bowie is, created by the Victoria and Albert Museum (V&A), London, will be screened in movie theaters across the US on September 23 to coincide with the exhibition opening at the Museum of Contemporary Art in Chicago (MCA). A select 100 theaters across the US will exclusively screen the film. Described by The Times as 'stylish & outrageous' and The Guardian as 'a triumph', the exhibition features a remarkable collection of photographs, stage costumes, and other rare possessions from the David Bowie Archive. The exhibition was the fastest selling in the V&A's history and is now on a global tour that has already travelled to Toronto, Sao Paulo, and Berlin to universal acclaim, opening next at the MCA in Chicago until January 4 2015. 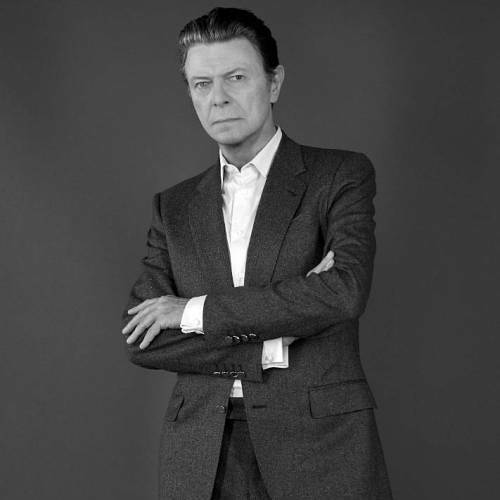 The film takes the audience on an extraordinary journey through the David Bowie is exhibition with special guests including legendary Japanese fashion designer Kansai Yamamoto, Pulp front-man Jarvis Cocker, and other collaborators, to explore the stories behind some of the key objects that document Bowie's artistic career. The exhibition curators, Victoria Broackes and Geoffrey Marsh, provide fascinating insight into the most memorable music videos and original costumes, as well as more personal items such as never-before-seen handwritten lyrics, album cover artwork, set designs and diary entries, which reveal the creativity and evolution of Bowie's ideas. The documentary was filmed on the closing night of the V&A exhibition in London and directed by Done & Dusted's Hamish Hamilton, the BAFTA award winning director of the Academy Awards and the Opening Ceremony of the London 2012 Olympic Games. Tickets for the theater screenings and the exhibition at the MCA are on sale from Thursday, July 31, 2014.